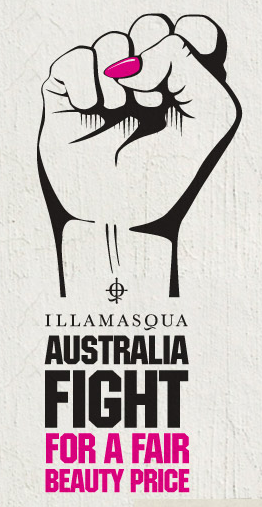 Kudos to Illamasqua for stepping up and admitting that pricing has been very unfair for those in the Pacific. 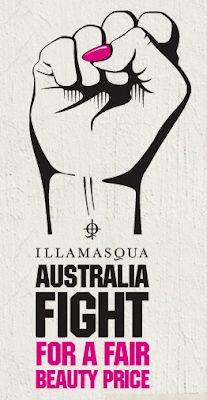 Founder Julian Kynaston explains why this has been so, and why the company is now reducing its prices in Australia by 30% across the board. View the campaign video here. I don't really mind price differences between brands. We LIKE having a variety of brands. That's a fact of life, and like it or not, we do choose higher-priced brands for reasons other than quality and quantity. What I DO NOT understand is prices being very different within the SAME brand. Even adjusting for currency fluctuations and import costs, a MAC lipstick should not cost double or more in Asia-Pacific as it does in the US. If you are at all annoyed, frustrated, mystified by this, then take a moment to sign this petition here! This isn't going to solve world hunger or end terrorism but I see it simply as a step forward for consumers everywhere who may not be able to afford a ton of expensive products. If I don't like the fact that a L'oreal lipstick here can cost more than a MAC lipstick in the US, I can always purchase online or ask a friend to help me bring it back. But not everyone has the option. As a case in point, A BOTTLE OF REVLON COLORSTAY FOUNDATION is about S$30 (US$24) here; even more in Australia.